A few new additions to my fall wardrobe. 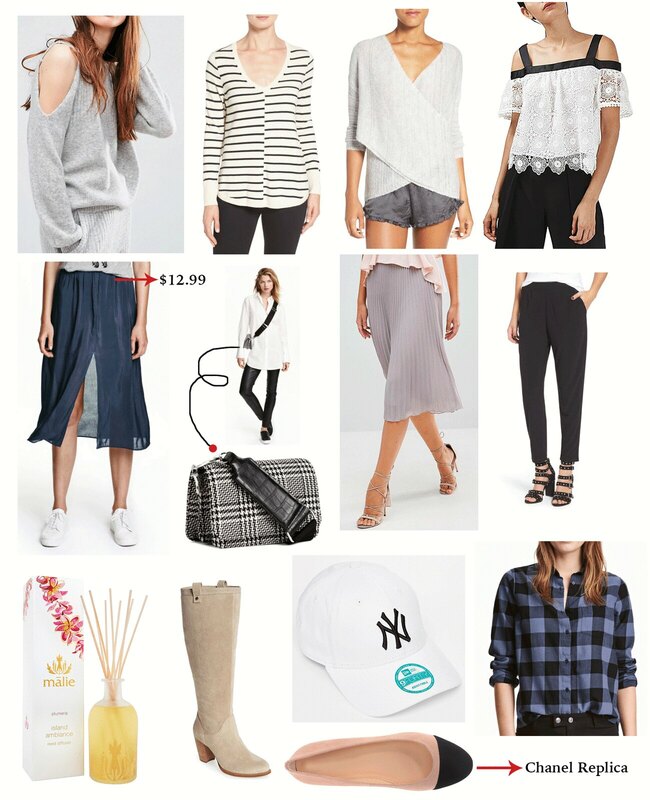 For all of the clothing items above I feel they all fit TTS except the grey wrap sweater. I would definitely size down. Unless you like a loose look, the material will stretch overtime. This diffuser is a must! Our hotel in Waikiki had this all over the lobby and floors and it smelled so lovely. Of course I stalked down the brand and tracked it down when we returned home. How cute is this checkered bag with the thick cross body strap? Thick guitar straps trend is everywhere so make sure you grab one! I am SUPER picky when it comes to pants and I swear these tapered pants literally feel like sweats! For years, I have been going back and forth on whether to take the big $ plunge and purchase the chanel ballet flats… I always back down because when I look at how quickly all my other designer shoes damage I feel like it’s not worth it. Instead I opted for these budget friendly (compared to the chanels) look-a-likes. I’m happy I did because they’re comfortable and I won’t have to feel guilty about ruining them!